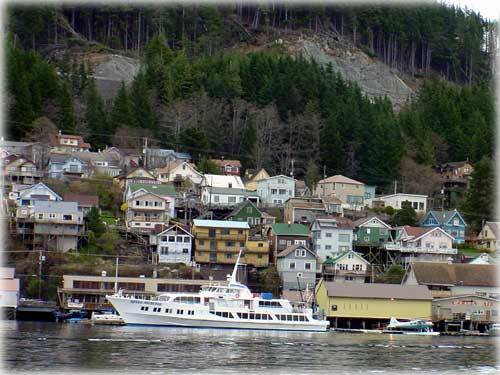 Ketchikan, Alaska - The new Third Avenue Extension can be seen in the background above the homes with views of the Tongass Narrows. The ship in the foreground is the Royal Princess. The Thrid Avenue Extension is being built to relieve traffic congestion along Tongass Avenue in downtown Ketchikan, the new roadway will be nearly 1 mile in length, and will extend Third Avenue between Washington Street and Schoenbar Road.